Send Messages Without Internet or a Cell Service with TinCan | OhGizmo! By Hazel Chua on 11/18/13 • Leave a comment! Most messaging services these days use your cell service or the Internet. But if you find yourself in a place with fluctuating signals and no Internet, then an alternative you can consider is TinCan. It’s an app that lets you send messages to other TinCan users who are within WiFi range, which is about 100 feet. Users can subscribe to other TinCan users to receive their messages, which are limited to 220 characters and currently have a lifespan of 90 days. 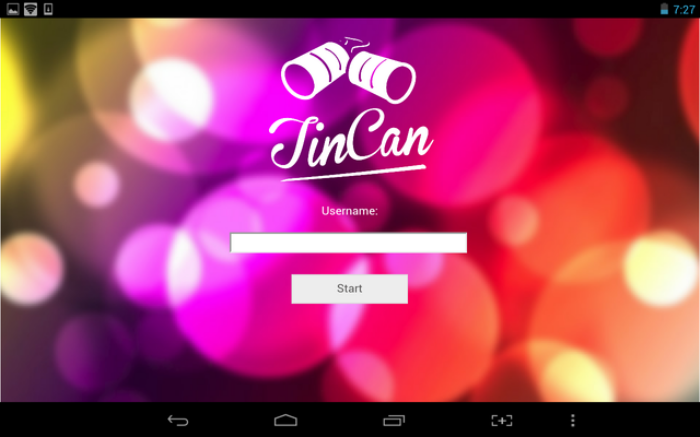 TinCan was successfully funded on Kickstarter last April and can now be downloaded for free from Google Play.